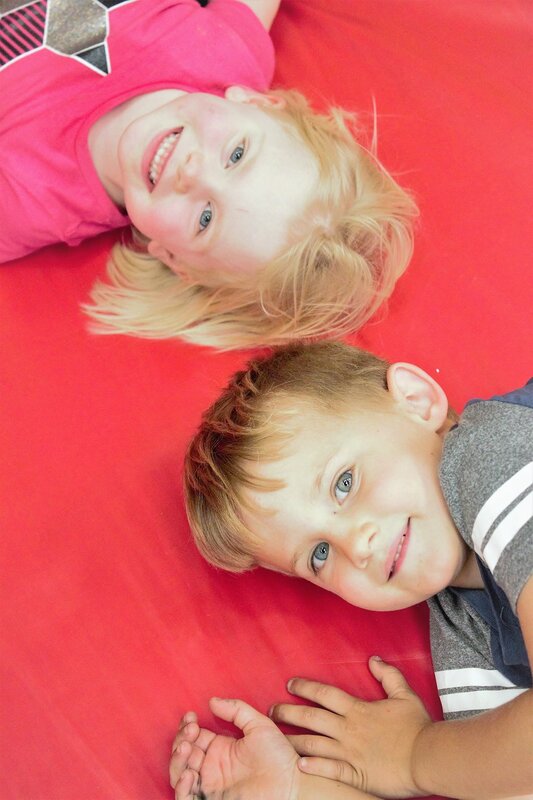 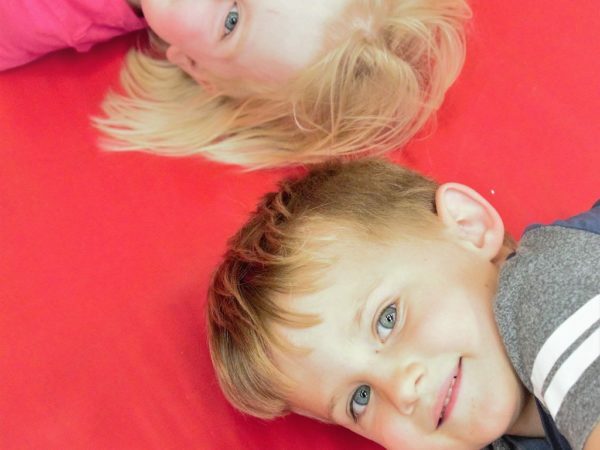 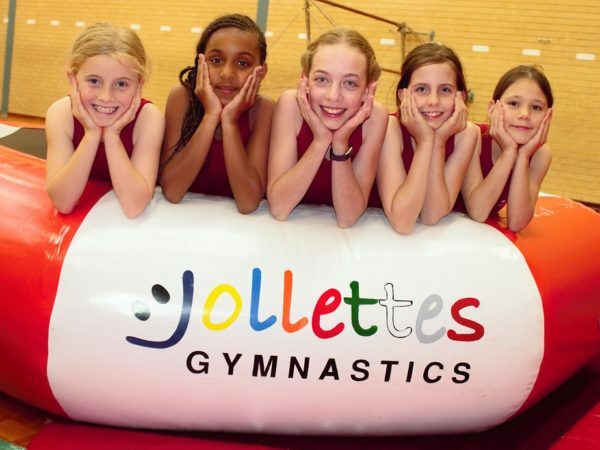 Jollettes Gymnastics aims to introduce gymnastics and physical fitness to children as early as possible, making it a way of life. 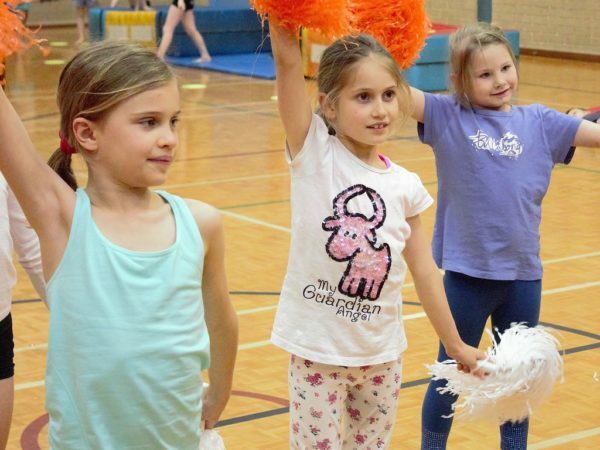 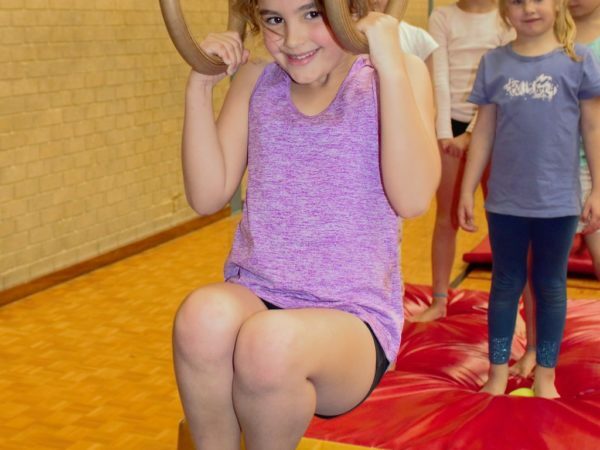 Our program concentrates on the fun and fitness in a recreational program, which incorporates all aspects of gymnastics including, artistic, aerobics, rhythmic, acrobatic, trampolining basics and performance gymnastics. 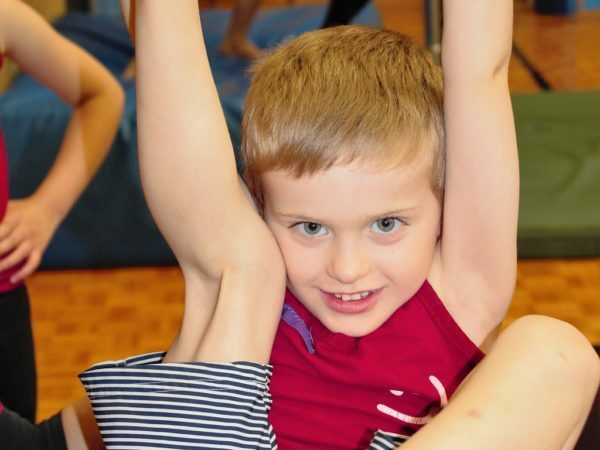 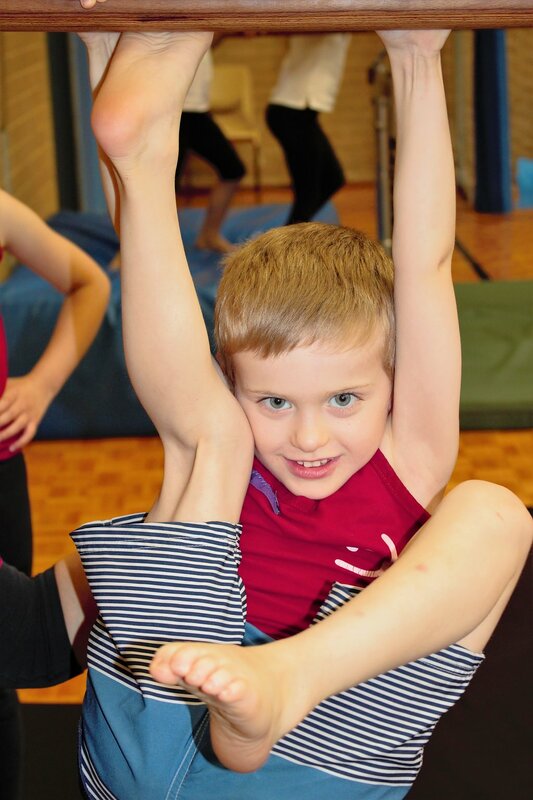 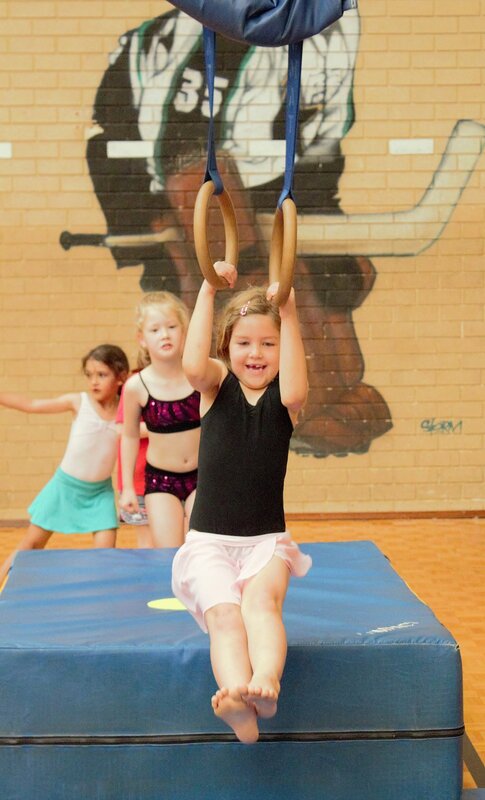 Introducing gymnastics and physical fitness to our children as early as possible making it a way of life for them. 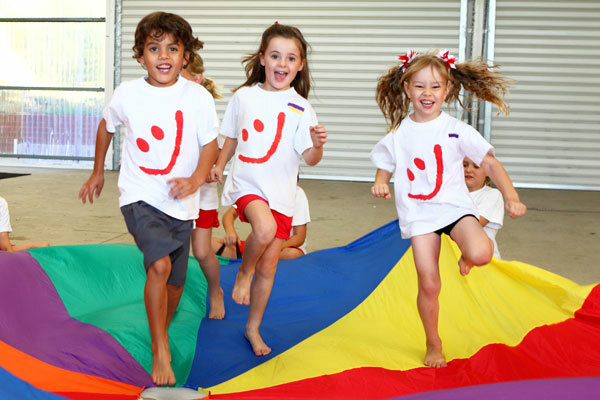 Our program has been developed over the past 50 years with an emphasis on fun and safety for our Members as well as our Staff. 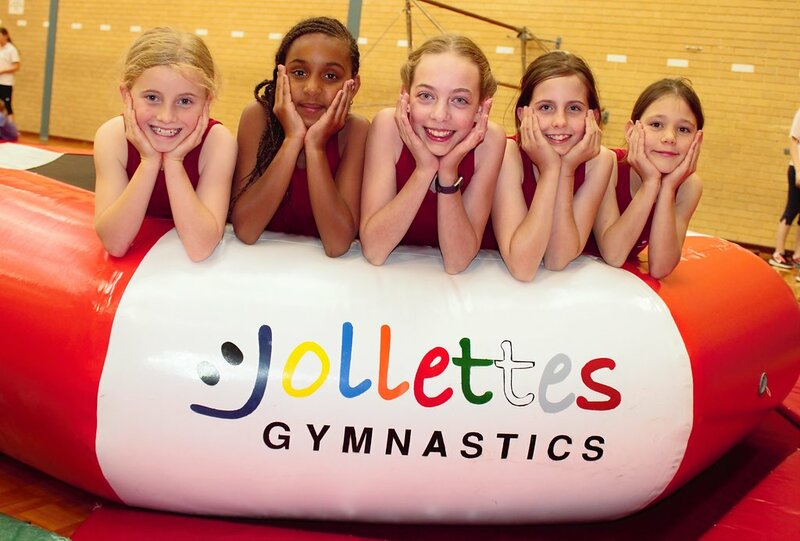 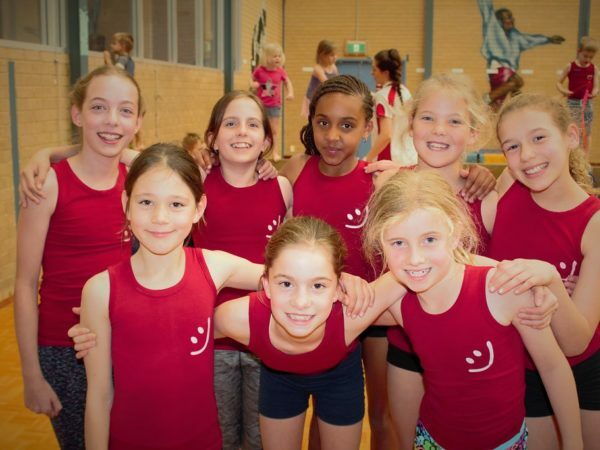 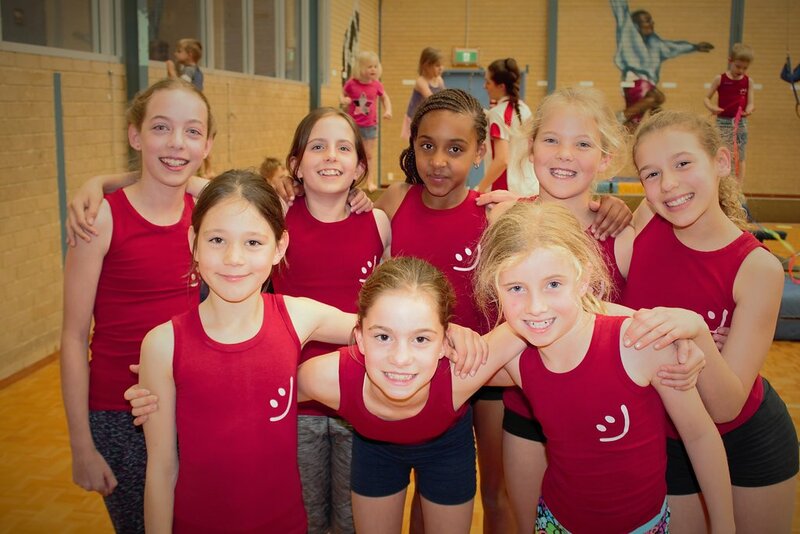 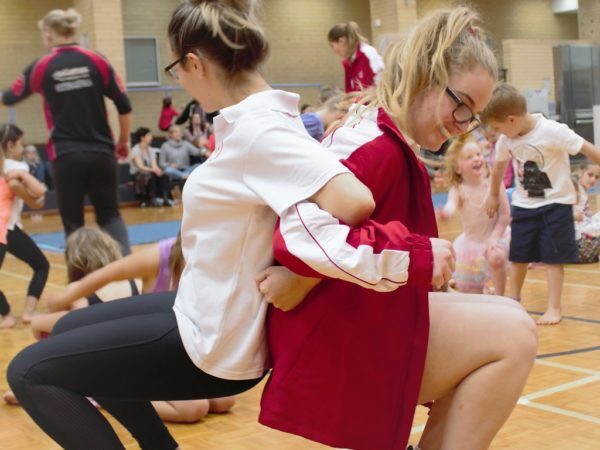 Although Jollettes Gymnastics’ emphasis is on Recreational Gymnastics we recognise that some of our members reach a stage where they benefit from learning more challenging skills development and performance opportunities. 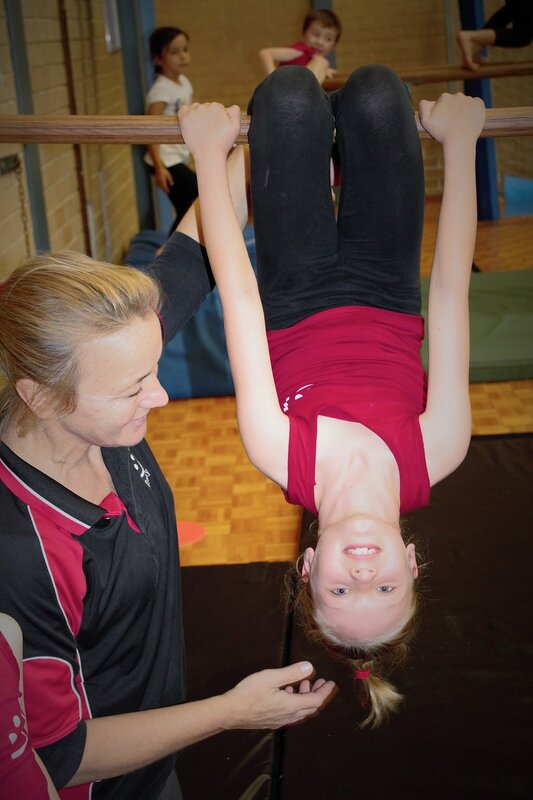 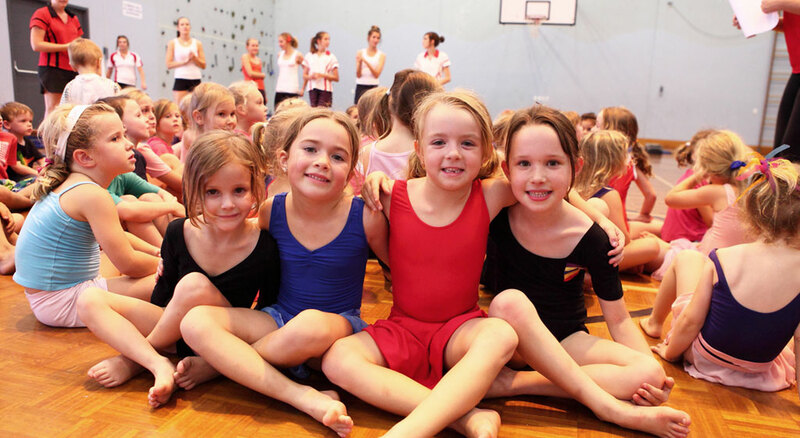 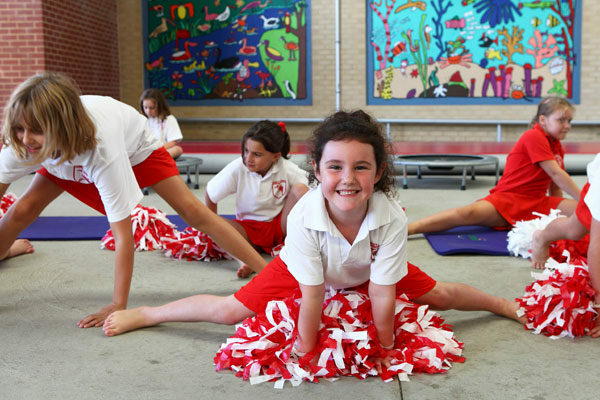 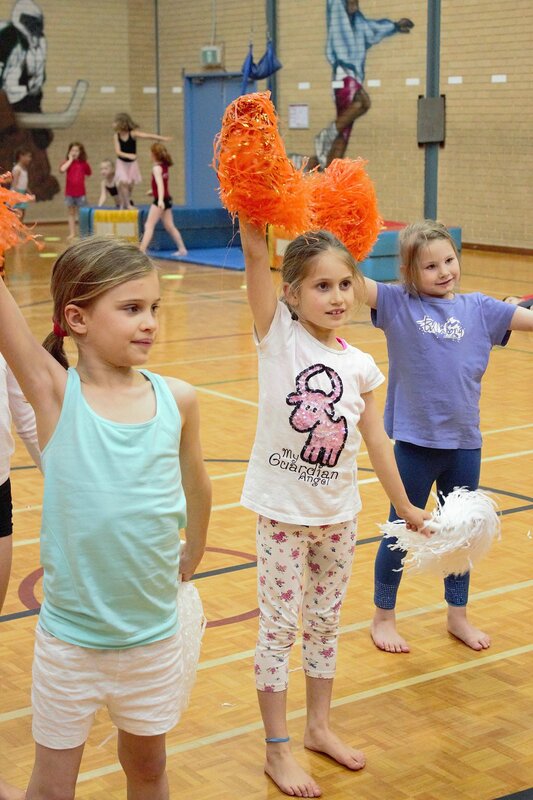 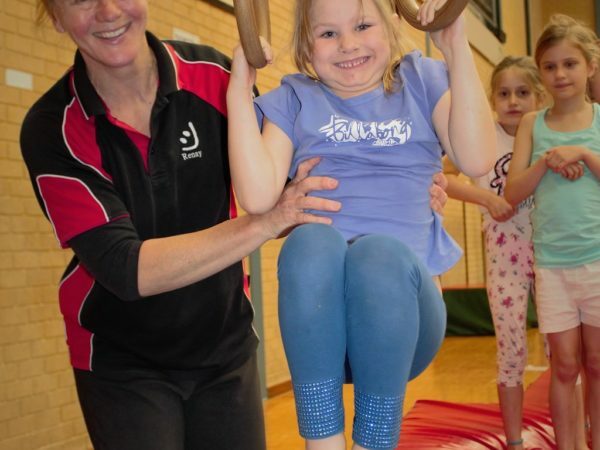 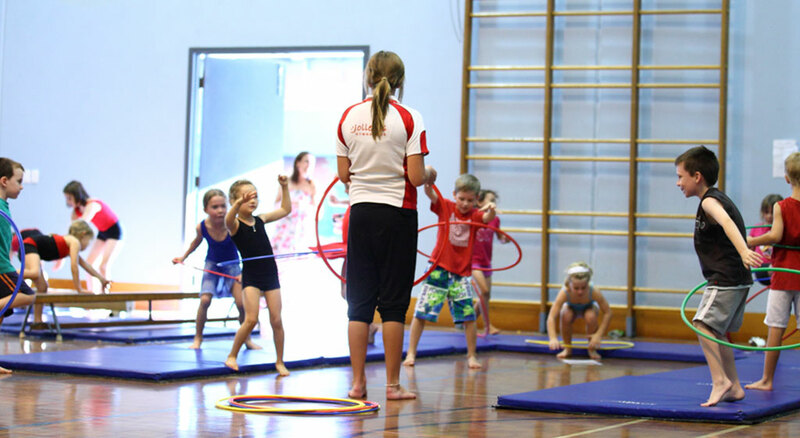 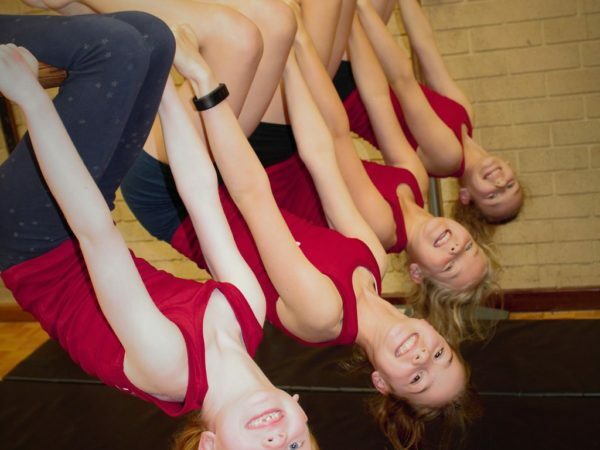 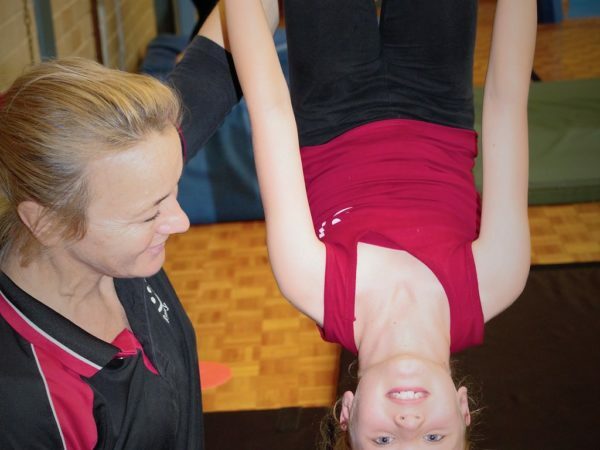 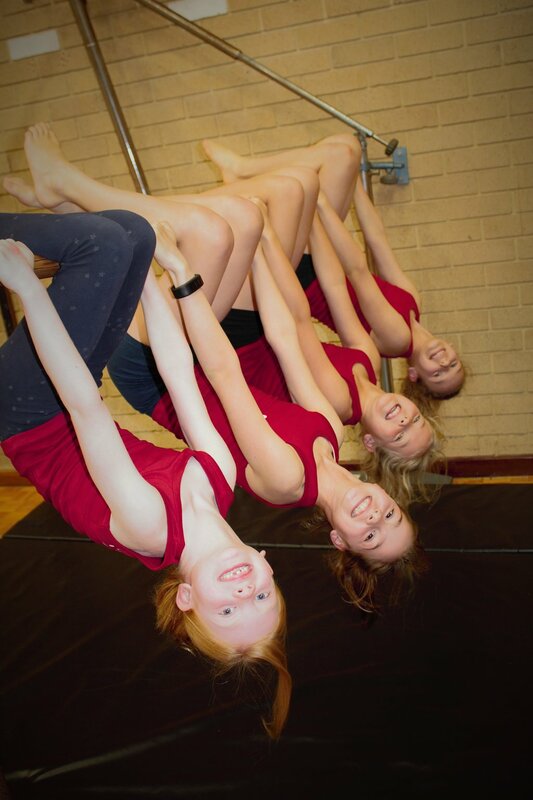 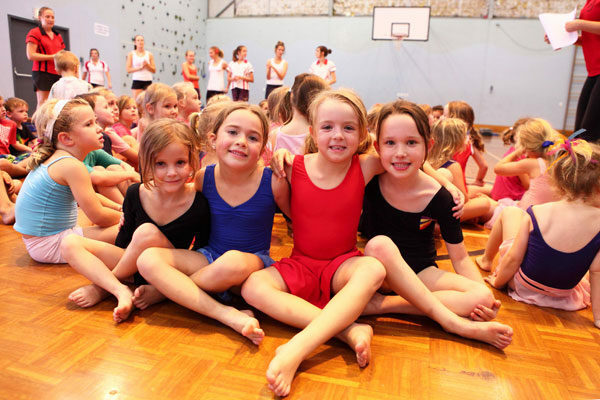 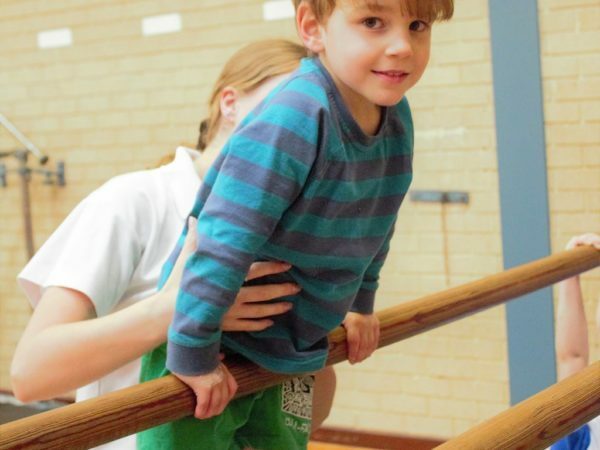 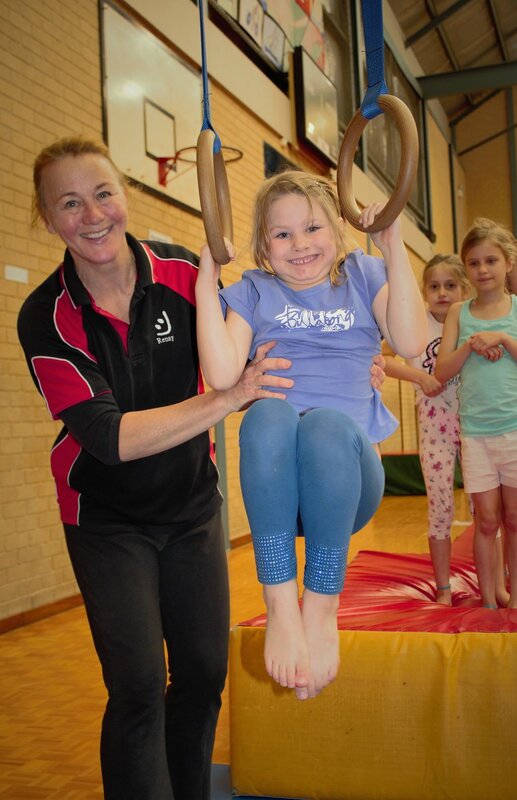 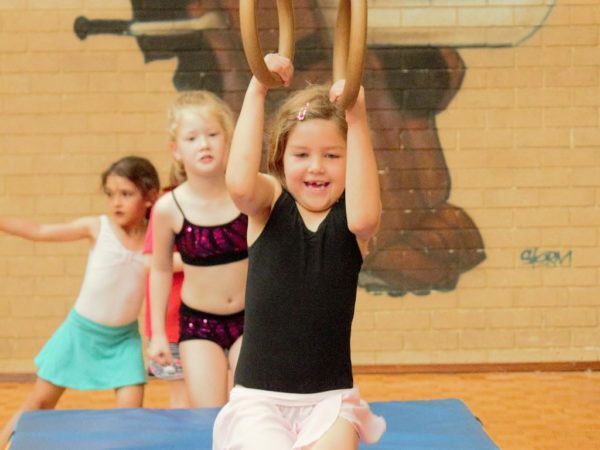 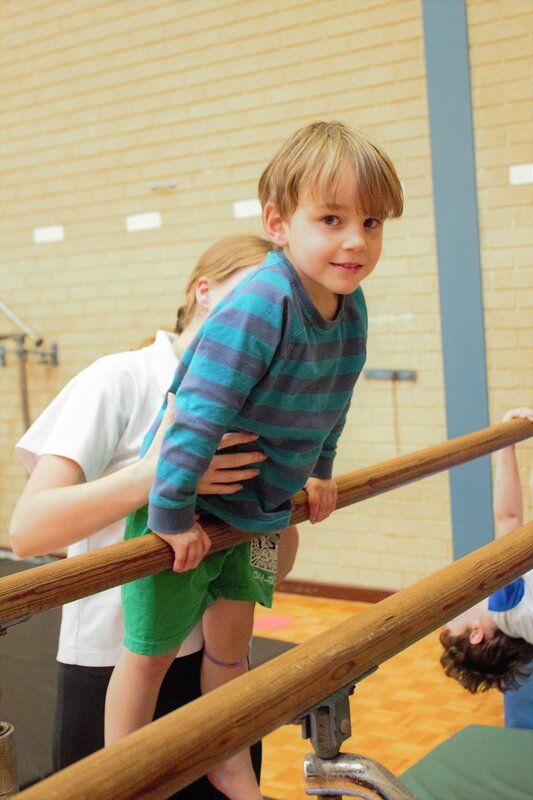 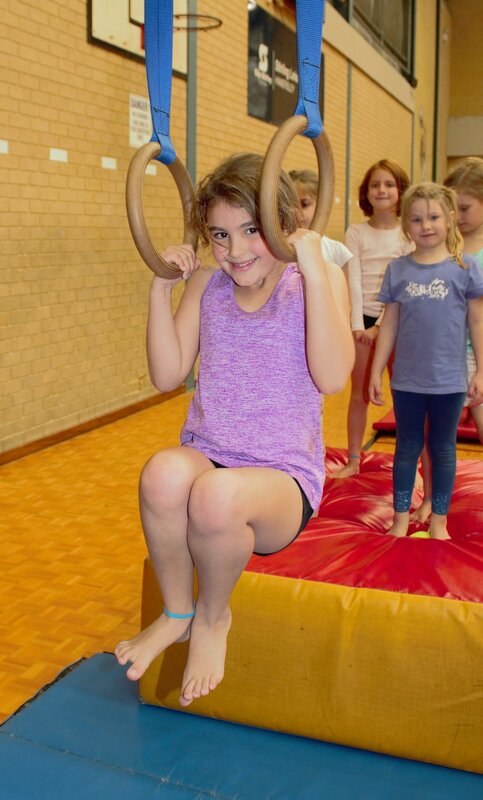 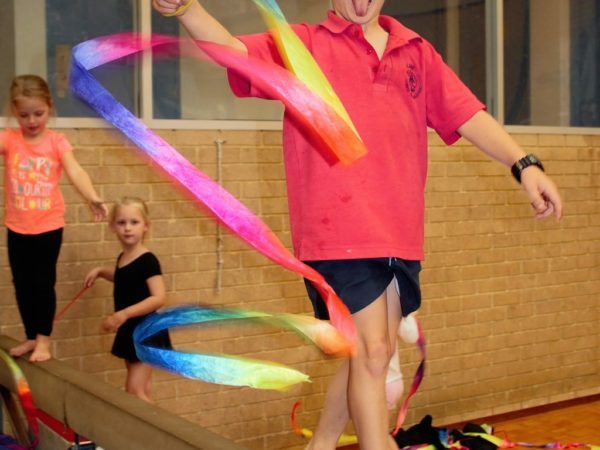 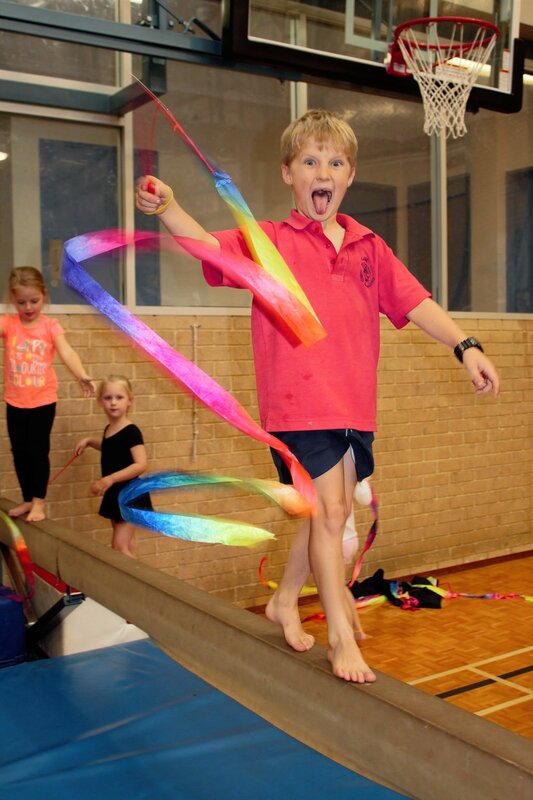 Jollettes Gymnastics is one of the only organised gymnastics programs in WA where you can “Pay by the Lesson”. 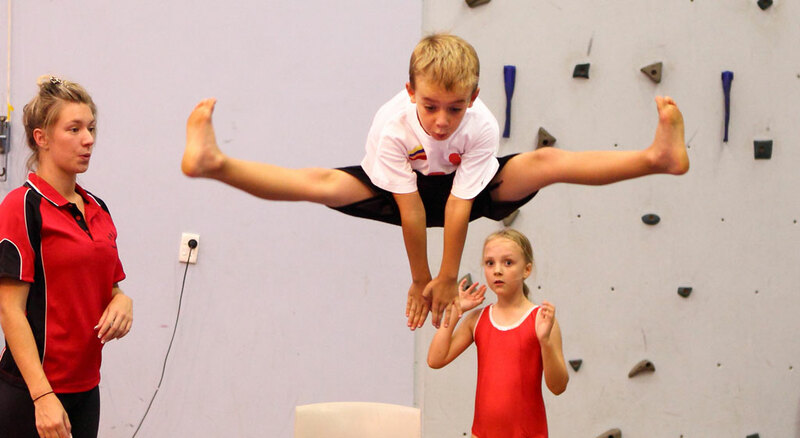 Recreational Gymnastics is a sport for everyone, regardless of age, gender or ability. 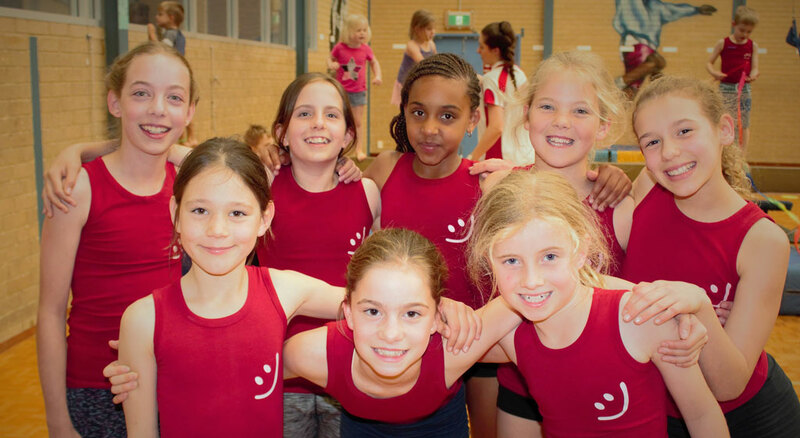 It is the perfect activity to prepare children for long-term participation in sport and develops vital life skills. 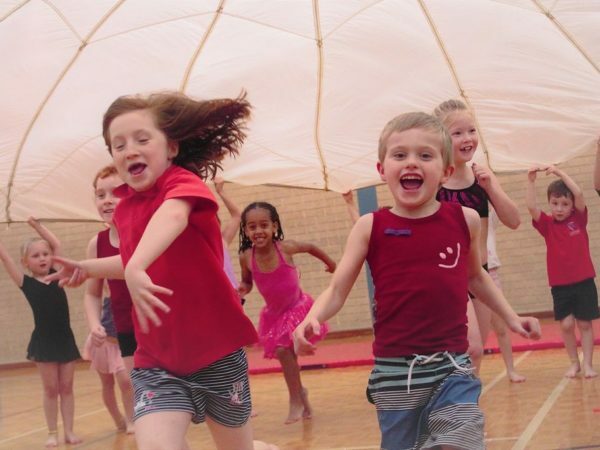 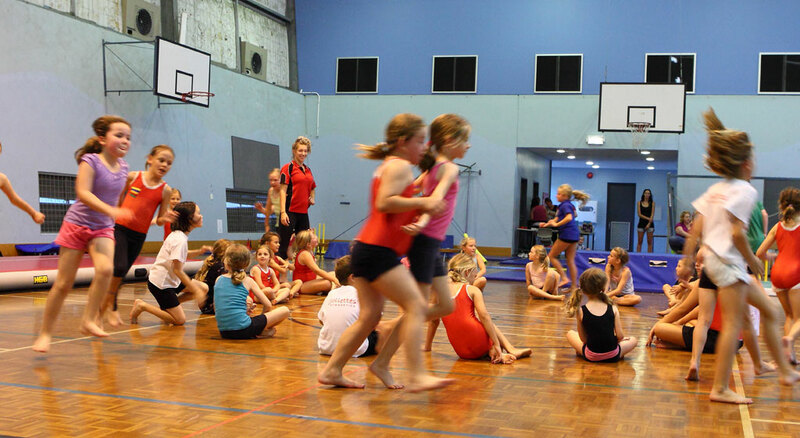 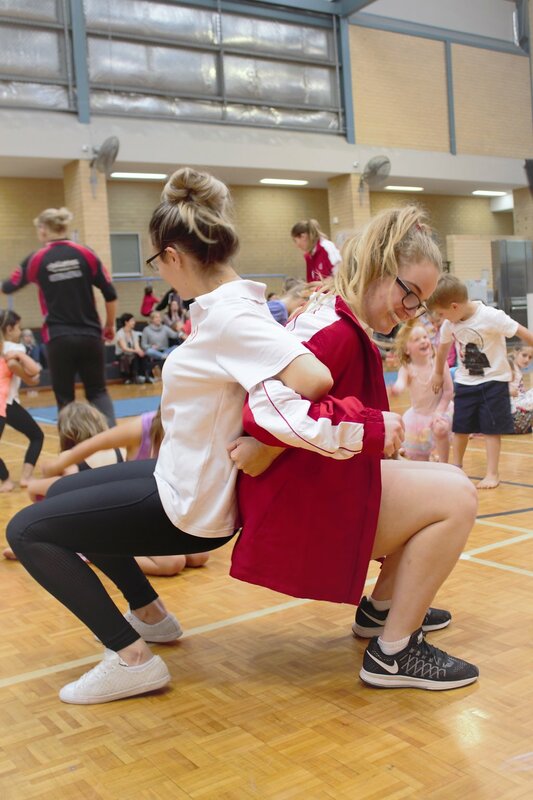 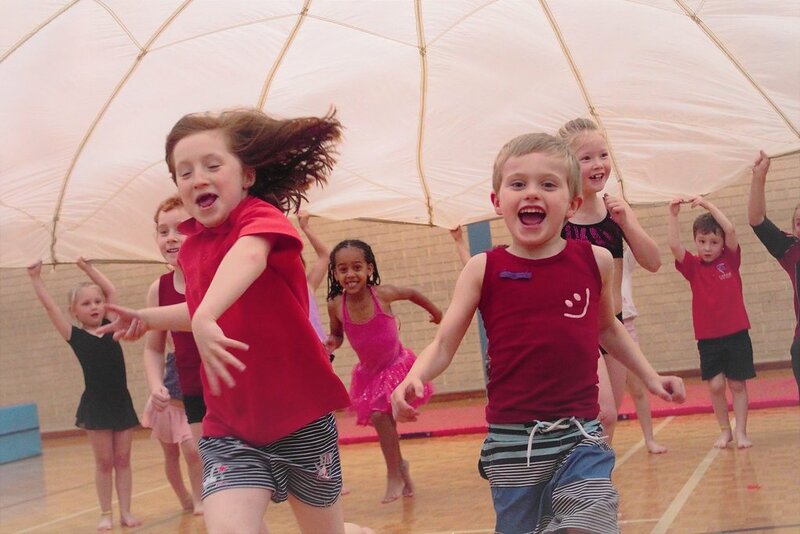 The AirFloor Tumbling Program is mobile with equipment transported in a trailer and easily set up in smaller venues similar to primary school undercover areas and small local community centres. 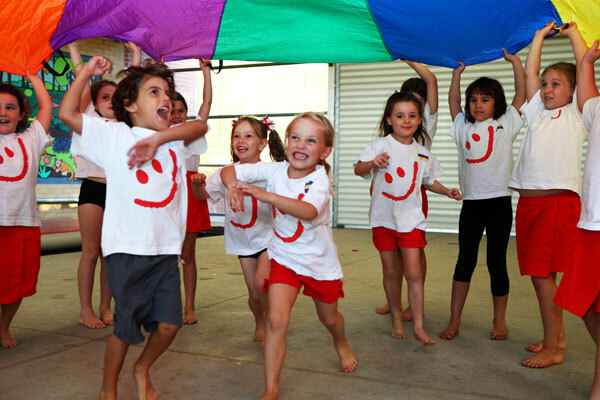 The children are to wear appropriate clothing (shorts and t-shirt or a leotard), bare feet while they are doing the class.